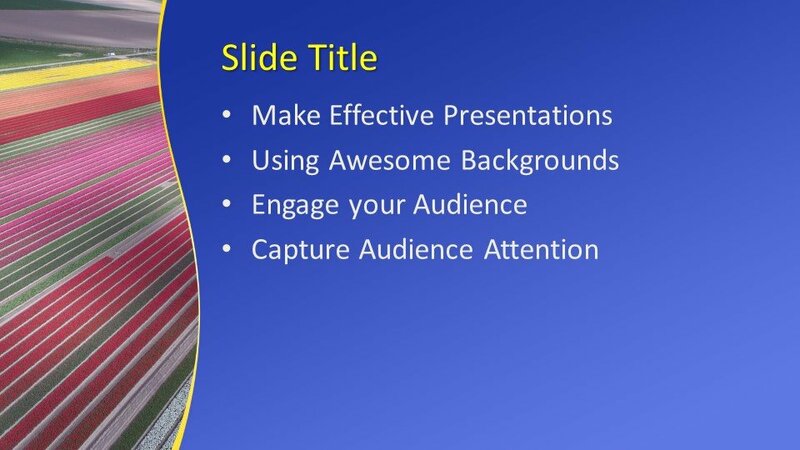 A latest and special PPT template design for PowerPoint presentations is freely available for your business slides. 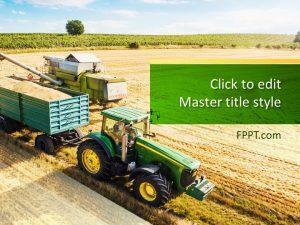 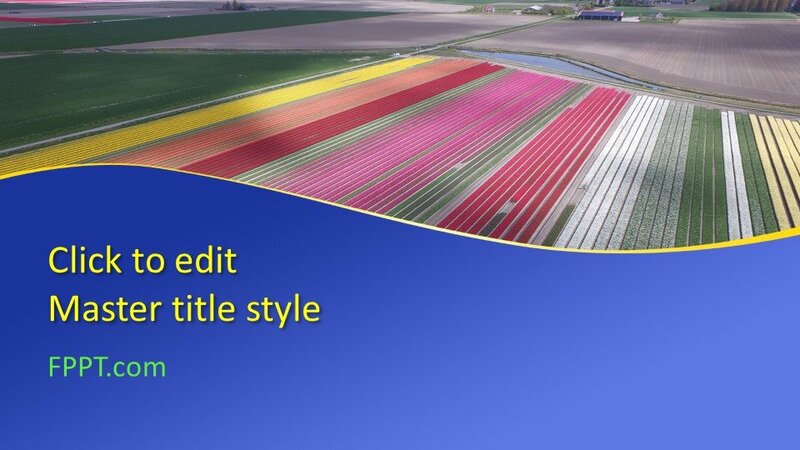 This awesome Free Fields PowerPoint Template can be used in the presentations relating to the agricultural topic or flower business templates as a background design. 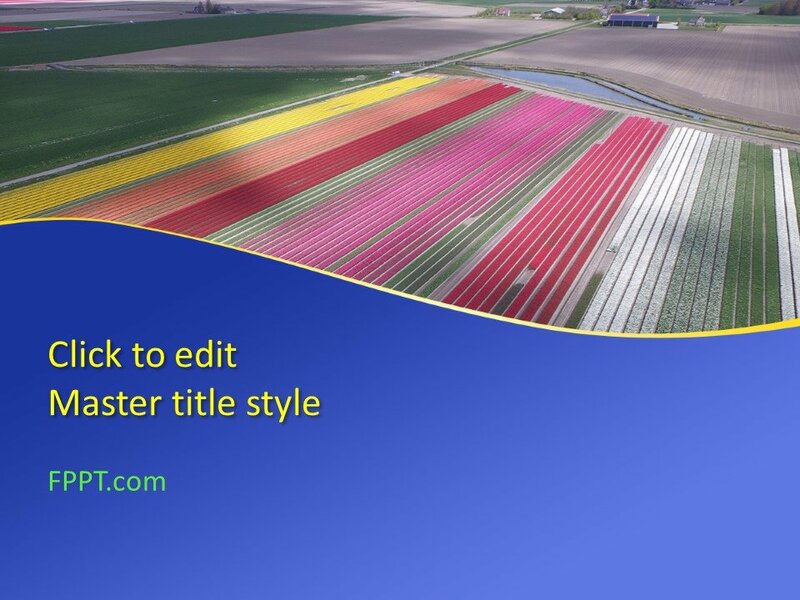 The template image has many colorful flowers in the agricultural fields that are giving an awesome and natural look to it. 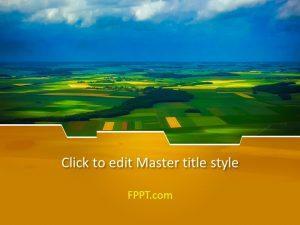 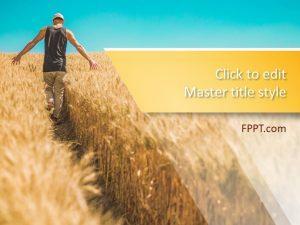 The agricultural fields in the PowerPoint design represent the subject and audience will be attentive with the topic. 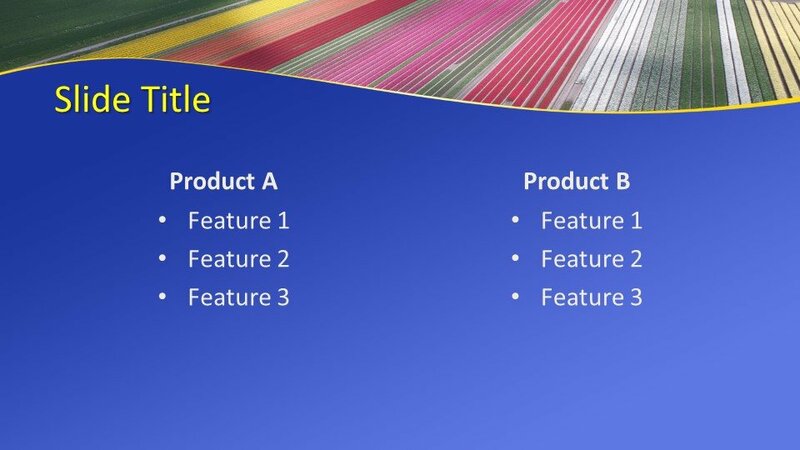 This kind of template design is also suitable for spring season description and for crops cultivated throughout the year. 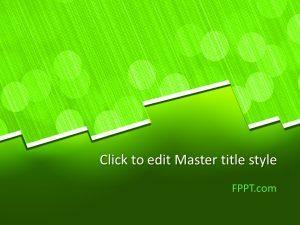 This PowerPoint template is equally suitable for background design and slide template. 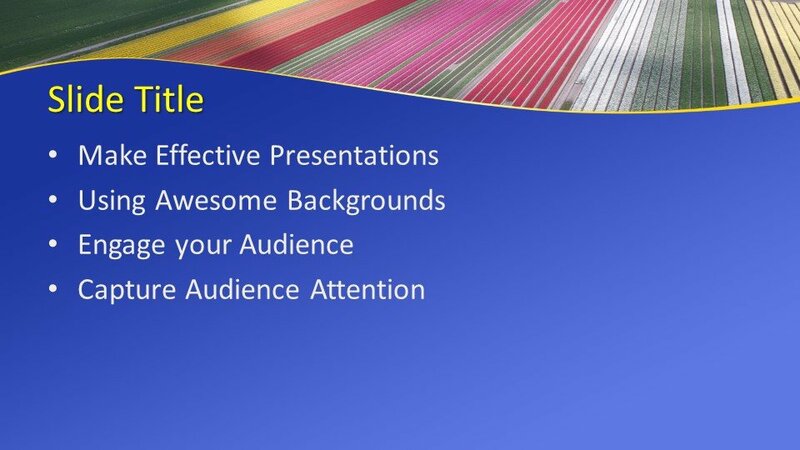 The presentation template is made compatible with all latest versions of PowerPoint software 2010, 2013, 2016 and Office 365. 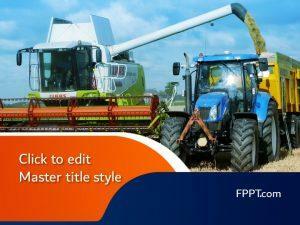 You can download the design totally free of cost to make wonderful PPT presentations on greenery, agricultural or other topics relating to natural crops. 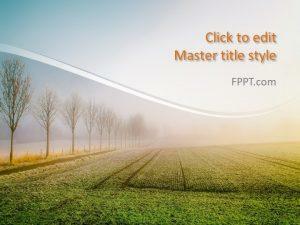 Alternatively, you can download other PPT template backgroud designs for making ideal presentations on FPPT.com.